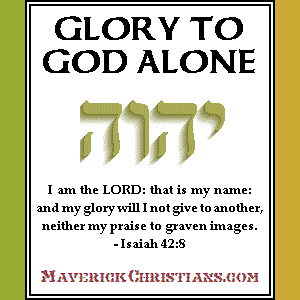 Does God condone bowing down before graven images? The answer is obviously NO! And God spoke all these words: “I am the Lord your God, who brought you out of Egypt, out of the land of slavery. “You shall have no other gods before me. “You shall not make for yourself an image in the form of anything in heaven above or on the earth beneath or in the waters below. You shall not bow down to them or worship them; for I, the Lord your God, am a jealous God, punishing the children for the sin of the parents to the third and fourth generation of those who hate me, but showing love to a thousand generations of those who love me and keep my commandments. Why then did God command Moses to make an image? God did not command the brazen serpent to be made so it would be worshiped. 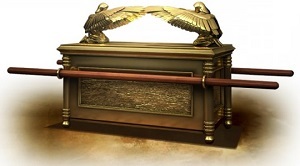 Why did God command images to be made for His “Ark of the Covenant”? The mercy seat in the middle is where the invisible presence of God dwelt. He did not want the golden cherubim facing Him to be worshiped. He was showing that He was the one to be worshiped. It is a lot easier to be caught in the sin of idolatry than you may think.